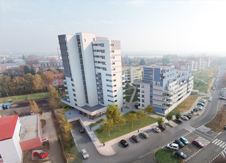 Introducing a summary of the key benefits of the SMART LIVING CLB@Letňany apartment building. There’s a lot to choose from! 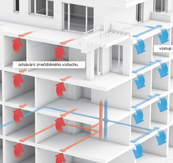 Do you know how forced ventilation works, and why it is important for satisfactory living? Air conditioning with pollen filters capture particulate matter from the air. You can then avoid excess humidity and the appearance of mould, mites and other pathogens. This means you won’t get such a headache and you won’t suffer from allergies, migraine or breathing difficulties. But air recovery is not the only tool included in the Smart Living concept helping you feel more secure and healthier. Letňany hasn’t been the outskirts of Prague for many years. It is an integral part of the capital city containing diverse buildings – villas, small and large apartment buildings. City and suburban buses with Prague’s integrated transport system means there are good links both to the centre and out of the city. Roughly one kilometre south of the site is Line C metro station Letňany. The metro is located in close proximity to the PVA exhibition grounds and Letňany airport. An expanding location. 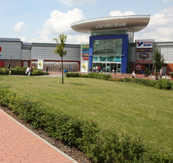 There are now a number of shopping centres in and around Letňany, along with a wide range of sports centres and other activities to do. There is a hypermarket with multiplex cinema here for example, plus restaurants and a sports centre with pool, hockey and tennis hall. Also available is a post office and ATMs. Furthermore, there are other shopping areas nearby and an office centre where a wide range of prestigious companies are based. 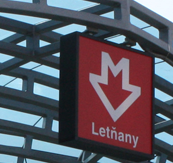 SMART LIVING CLB@Letňany has a building energy performance rating of Band B. Thanks to the use of high quality materials and working procedures, it is assured that your new home will be both environmentally-friendly and long-lasting. We aim to achieve an even better insulation quality and energy performance rating for the building than is otherwise usual, which means multiple reductions for energy consumption costs and the amount of damaging CO2 emissions. The project design will suit family living needs in the neighbourhood. All apartment benefits will be best appreciated by those who are to live there. 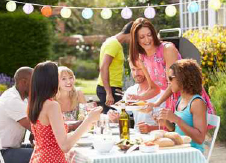 As such, we approach each new client expressing an interest in living here individually. Together, we deal in great detail not just with client adjustments, but also the system for eliminating any faults found.